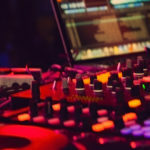 The Early Years Music Mapping and Consultation was commissioned by Wiltshire Music Connect, to help them consider what the role of the Hub could be in supporting early years music, and that any action or strategy was responsive to local needs. I mapped current early years music provision in the county through desk research and online surveys. Consultation with music specialists who work with under 5’s, early years practitioners and teachers used structured interviews and questionnaires to identify priorities and issues for music making. Download a summary of the key findings in the report. 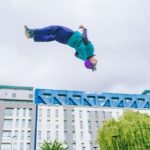 Bristol Circus City is a biennial festival which introduces new audiences to contemporary circus, promotes circus as an inspirational and diverse artform, and raises the profile of Bristol as a leading city in the UK to watch, create and participate in contemporary circus. 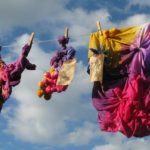 Fabric of Life was a heritage project led by Wiltshire Youth Arts Partnership which aimed to explore LGBT and gender identity, through the lens of fashion and textiles. 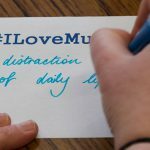 A commission from Wiltshire Music Connect Music Education Hub to undertake a Youth Voice consultation with children and young people across the county. 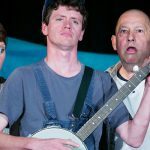 Travelling Light Theatre Company toured to libraries across the West of England, with the aim of increasing library engagement by Year 6 children and increasing access to high-quality theatre for young audiences. Sound Splash was Bristol Plays Music’s Musical Inclusion module, funded by Youth Music between 2012 and 2015. After writing an interim evaluation report for Sound Splash, I was commissioned to research and write a series of Case Studies which were a key aspect of sharing the project’s learning across the music education sector. 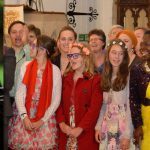 The Trowbridge Song Project was a 2 year oral history and song project, led by Sounding It Out Community Choir and funded by ACE Grants for the Arts, which aimed to collect songs and stories from people who had migrated to Trowbridge. 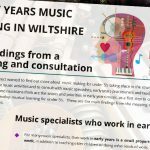 The Early Years Music Mapping and Consultation was commissioned by Wiltshire Music Connect, to help them consider what the role of the Hub could be in supporting early years music, and that any action or strategy was responsive to local needs.